The first item that I received is a large pink cross stitched bow necklace. I'm so pleased with the size of this - sometimes when I order things they are tiny in person, but nope this is nice and big. It's done really precisely as well - it's so cute. The chain is great quality too. I also got a rainbow gradient charm bracelet. On there we have little Hello Kitty charms, Barbie shoes, a little lemonade can... and of course an ADORABLE Umbreon figure. An authentic Tomy figure at that! I am over the moon with this bracelet, what's not to love?! 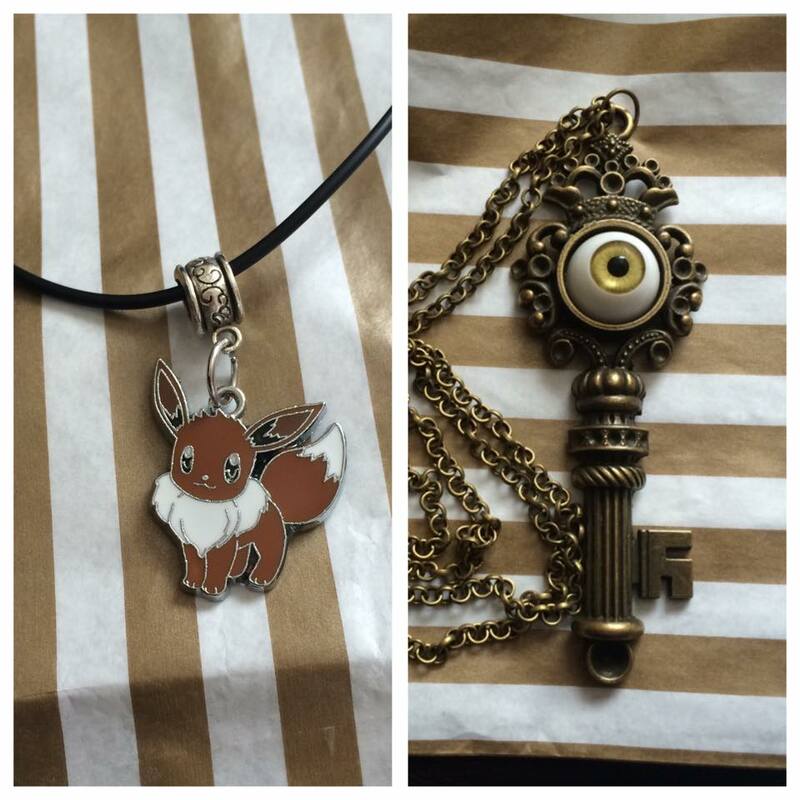 Sticking with the Eevolutions theme, I got an Eevee choker which is adorable and fits so well on my neck (definitely wearing this to Comic Con tomorrow!) I got this large antique bronze key necklace with an eye cabochon set in the centre of it. This is nostalgic for me as I always used to wear this Topshop ring with an eye on it... literally constantly - so it kinda took me back to that period before it went all coppery and gross. It's so creepy I loovee it! 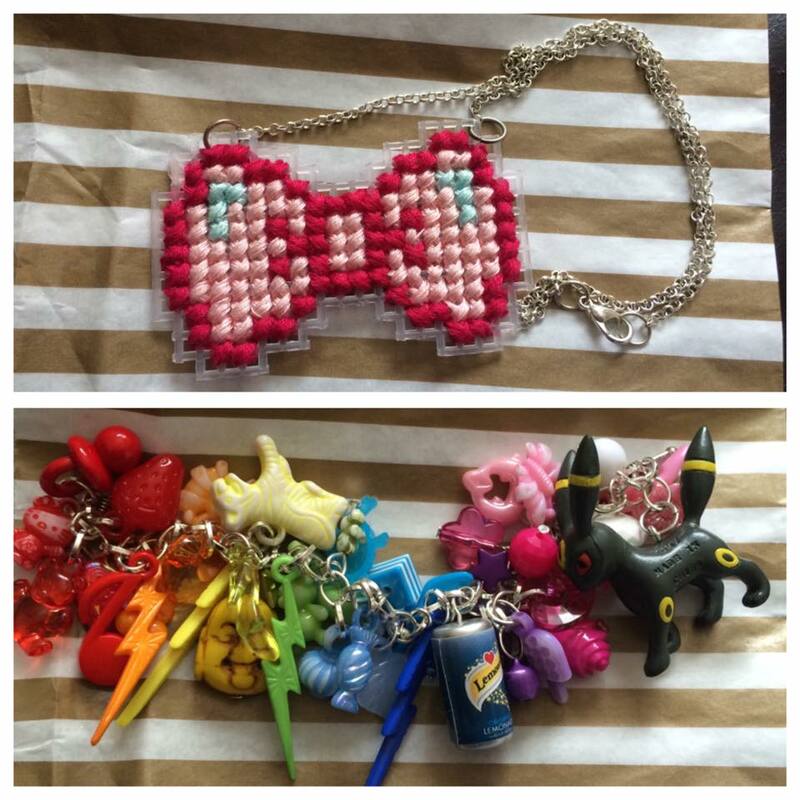 Definitely check out Dazzling Gleam Shop if you're into kawaii accessories and jewellery, you won't be disappointed.